The Champaign-Urbana Symphony Orchestra is honored to collaborate with composer Stacy Garrop, who will be in residence with the orchestra during the next two seasons. The residency of Stacy Garrop is made possible through Music Alive, a residency program of the League of American Orchestras and New Music USA that demonstrates the power and value of living composers working at the center of American orchestras. Stacy Garrop’s music is centered on dramatic and lyrical storytelling. CUSO is excited to perform several of her works for orchestra and chamber ensemble this season. Stacy Garrop is a nationally recognized composer of works for orchestra, wind ensemble, choir, chamber ensembles, and oratorio. Her works have been performed by the Detroit Symphony Orchestra, Minnesota Orchestra, Albany Symphony, Grant Park Music Festival Orchestra and Chorus, Cabrillo Music Festival Orchestra, Chanticleer, Lincoln Trio, Gaudete Brass Quintet, and “The President’s Own” U.S. Marine Chamber Orchestra. Additionally, her works have been performed by the Amarillo Symphony, Columbus Symphony, Charleston Symphony Orchestra, Illinois Symphony Orchestra, New England Philharmonic, and Symphony New Hampshire. Stacy was recently awarded the 2018 Barlow Prize to compose a major new work for reed quintet. She has earned numerous grants and awards including a Fromm Music Foundation Grant, three Barlow Endowment commissions, Detroit Symphony Orchestra’s Elaine Lebenbom Memorial Award, Boston Choral Ensemble Commission Competition, Pittsburgh New Music Ensemble’s Harvey Gaul Composition Competition, Raymond and Beverly Sackler Music Composition Prize, Sorel Medallion Choral Composition Competition, and competitions sponsored by the Chicago Symphony Orchestra, Omaha Symphony, and the New England Philharmonic. Dr. Garrop has worked as an educator throughout her career, serving as professor of composition at Chicago College of Performing Arts at Roosevelt University from 2000 to 2016. She also taught at Fresh Inc Music Festival from 2010 to 2016. She has developed music education programs for elementary and middle school children in Chicago, and in Albany, New York during her residency with the Albany Symphony Orchestra in 2010/11. Stacy will provide music education programs for local grade school and high school students during her two-year residency with CUSO. Dr. Garrop earned degrees in music composition at the University of Michigan-Ann Arbor (BM), University of Chicago (MA), and Indiana University-Bloomington (DM). Stacy Garrop is a Cedille Records recording artist, and her works are published by Theodore Presser Company. For more information about Stacy and her work, visit her website at www.garrop.com. Stacy may be contacted via email at composer@cusymphony.org. 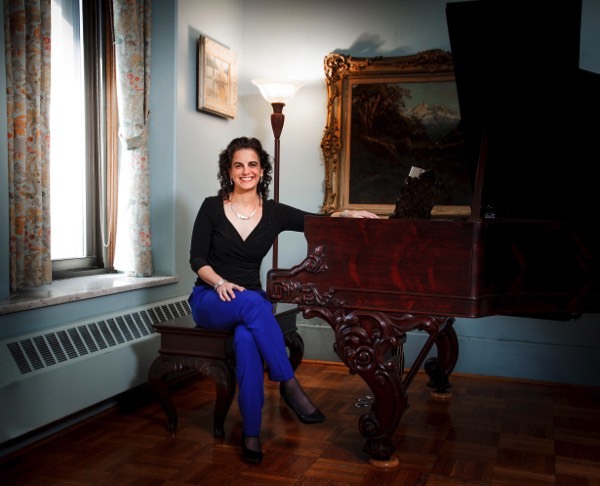 The residency of Stacy Garrop is made possible through Music Alive, a residency program of the League of American Orchestras and New Music USA. Major funding for Music Alive comes from The Andrew W. Mellon Foundation, with additional support from The Aaron Copland Fund for Music, The Amphion Foundation, The ASCAP Foundation Bart Howard Fund, the Francis Goelet Charitable Lead Trusts, and the National Endowment for the Arts.